App, It Is the Easiest Way. Remember when you were in college and everything was easily accessible via apps on your phone? No? Well, me either. Our kids, however, do live in this world and there are literally apps that provide things like food delivery, tutoring services, how to create a budget or the perfect bibliography. Below is a list of the ones I thought most useful. 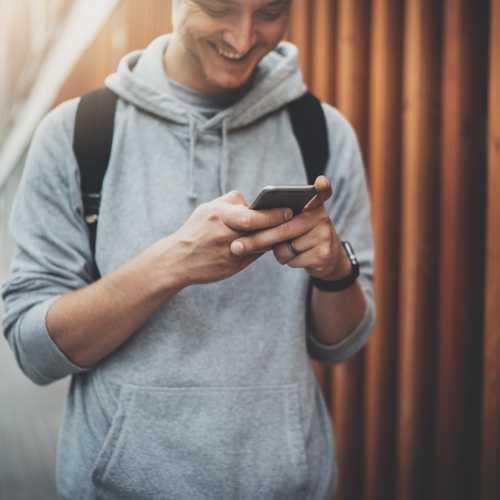 FAU Mobile gives students access to FAU resources, including campus maps, Web courses, My FAU Email, the library, sports schedules, class schedules, emergency information and more. FAU Guardian: because the first thing on my list is always my child’s safety. With FAU Guardian, students can report a problem silently via text. It sort of empowers students to prevent assaults before they get out of hand. View crime around the FAU Campus, trigger Mobile Blue Light to send your location and call FAU PD, a toolbox that contains a flashlight, a safety timer and ability to send your location. The app also allows students to enter their own medical information and emergency contacts, in case of an emergency. Outlook – Allows students to easily access their school email on their phone. Quizlet – Quizlet is a free study app that allows the user to take other people’s quizzes or create their own. A user can create multiple choice, matching, true/false, and open-ended questions and use these in various ways, such as flashcards and games. Students can share their “study sets” with others in their class and even encourage a professor to create one. Evernote – is a free app that takes note-taking to the next level. Students can brainstorm ideas, make to-do lists, take pictures of pages and sketches, organize everything into a notebook format, and share with others or collaborate as a group. The app even has the ability to search handwritten content; so finding your past notes is easy. iHomework 2 – If your student is really organized then skip this one, but I know a few that could definitely benefit from it. This free app can keep track of their assignments, deadlines, and tasks, and plan them out over a certain time period so they’re not left cramming at the last minute. LitCharts – is great for English majors. This free app helps understand literature. Find reviews, summaries, themes, and quotes for hundreds of titles without any in-app ads. Think of it as a portable Cliff Notes. Easybib – is an online citation generator. At some point, every student will have to write a paper that requires citations and after an all-nighter, remembering how to do that properly can be difficult. This app requires them to simply plug in the information and it creates the document of works cited. It’s that easy, but proofreading is still recommended. PS. If they have the physical copy of the textbook, they can just scan its ISBN and the app will create a citation that way. Chegg – Highly recommended. Oftentimes you can rent a book for more than half the price that a bookstore is renting it out. Students can rent, buy and sell their books. They also offer assistance with completing homework and gives access to tutors, at a cost. GroupMe – At some point in their college career they will have to participate in a group project, which means the fate of their grade, depends on working together. While GroupMe can’t force the group slacker, should there be one, to pull their fair share; it can facilitate easier communication. It works like a group chat, but, because you don’t have to meet up anywhere, everyone in the group saves time and money by making plans and discussing problems on their phones. CamScanner – as its name implies, this allows you to scan docs and save it as .jpeg or PDF. Great if you need to email or fax an important document. PhotoMath- Another great app for college math courses. Students can take a picture of the equation and Photomath shows step-by-step directions to solve the equation. Scribd– Scribd complies all the important files and information to the topic a student may be searching for in one place. Students can create a library on the app and compile the notes, documents, and books that correspond to the topic their researching. iTunes U– if you use Apple devices, this app is a great study tool. iTunes U gives students access to text and course materials from universities across the world. UberEATS– UberEATS brings the food directly to them so they don’t have to stop studying to go pick up dinner. Venmo – I am mentioning this because I think it is so easy to use, but your students probably have it already. My kids are the ones that introduced me to it. Venmo allows students to pay each other back for anything their friends may have paid for them; their share of the electric bill, half the groceries, half the Uber ride…and so on. Uber app (and an account) is a must. Uber allows your students to request rides easily and quickly from their phone. Mint – Mint is a budgeting app that helps students keep track of their finances, as well as help them understand where they can make some budget cuts of their own. Unidays– Unidays allows for students to easily find out which of their favorite brands or stores offers student discounts. Headspace – For students who want to improve their mental health, not just maintain it, the Headspace app is the perfect place to start. They offer a ten-day trial. If nothing else, the app is a daily reminder that for ten minutes a day, we all should calm down, breathe, dislocate from any stresses and surroundings, and try to focus on how we feeling on a deeper level. MyFitnessPal – Tracks diet and exercise to determine optimal caloric intake and nutrients for the users’ goals. Calorie charts, nutrition facts, exercise and more. Sponsored by UnderArmour.